Przedwzmacniacz C-900u powstał by dać możliwość odtwarzania muzyki w najwyższej jakością bez jakichkolwiek kompromisów. Za przetwarzaniem sygnału praktycznie bez zniekształceń odpowiadją firmowe obwody ODNF w nowej wersji 4.0. Ultraprecyzyjną regulację głośności z 88 skokami udało się uzyskać dzięki najnowsza wersja układu "Lecua 1000". C-900u to elegancja i symbol klasy premium. It can be said that accurate volume adjustment is fundamental to a control amplifier. The C-900u has been equipped with our new LECUA* 1000, a highly precise electronically controlled attenuator which has been used in LUXMAN's 80th anniversary flagship model, the C-1000f. This system is extremely resistant to external vibration and changes in sound quality over the volume control range, as well as being an extremely durable design. The LECUA circuit uses stepped fixed resistance and increasing the number of steps from 72 to 88 allows more delicate volume control adjustments, with no deterioration of sound quality from 0dB to 87dB. The completely balanced configuration of the C-900u features 4 of these new LECUA 1000s in parallel, achieving ideal balanced transmission. Also, the LECUA 1000 system handles left and right balance control adjustment and level adjustment in bi-amplified output mode. 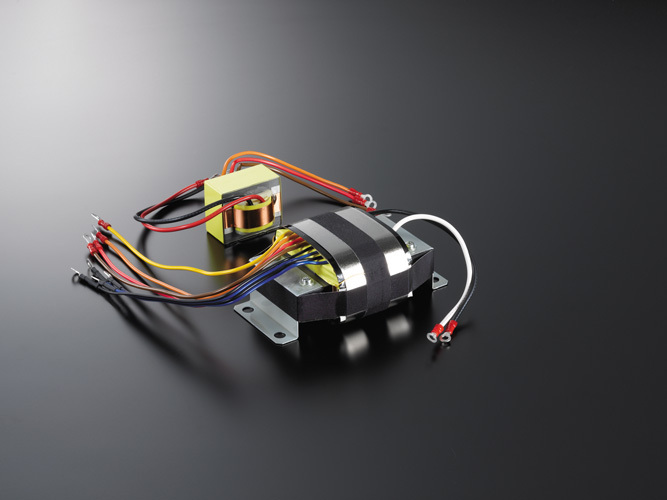 In addition, the new LECUA 1000 circuit has an improved three dimensional structure and is directly connected to the amplification circuit, minimizing signal routing and improving efficiency. Our latest negative feedback circuit, ODNF** version 4.0, achieves higher performance, being quadruple paralleled in the first main amplifier stage, triple paralleled in the first error detection stage and featuring a Darlington connected second stage. Only the distorted components of an audio signal are fed back to the amplification circuit to optimize the negative feedback effect. Increased primary slew rate and ultra-wide bandwidth contribute to an extremely low level of distortion, especially in the high frequency range. An improved signal to noise ratio allows the full expression of delicate musical pieces where the amount of feedback should be minimal. 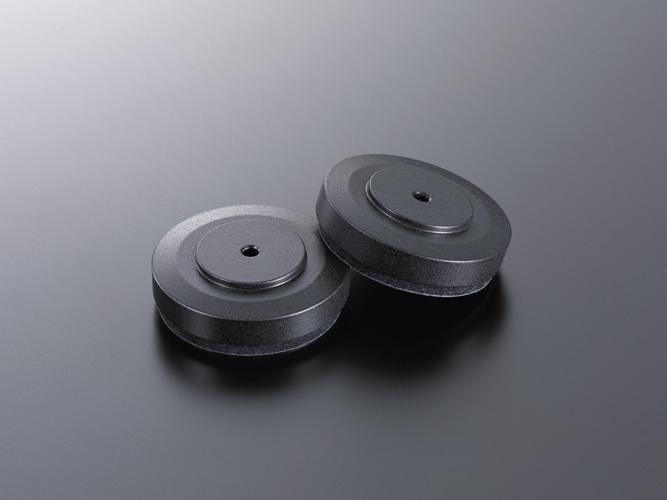 We have paid special attention to the shape, weightiness and texture of the volume control knob, pursuing a natural, high quality feel since this control is most frequently handled by the listener. * LECUA stands for "LUXMAN Electrically Controlled Ultimate Attenuator". ** ODNF stands for "Only Distortion Negative Feedback". 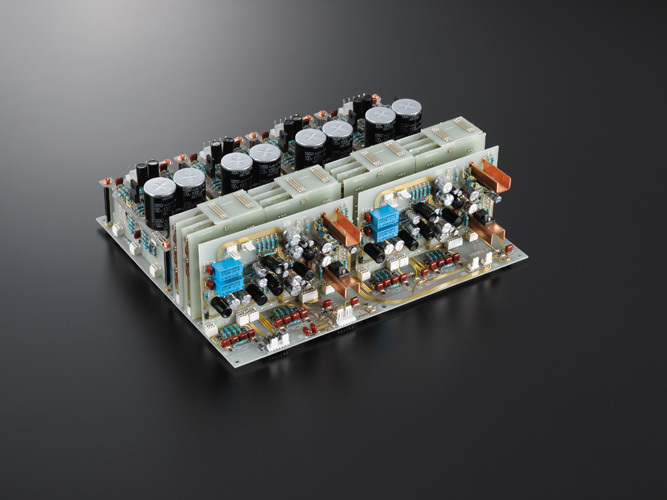 The high performance power supply circuit features a CI type power transformer, with equivalent capacity to that of our B-1000f monaural power amplifier. Applying the philosophy of "Power Amplifier Driver", the voltage amplification stage drives the connected power amplifier stage precisely with sufficient power and is regulated by four large capacity 3,300μF blocking capacitors. The delicacy and vitality of various audio signals are transmitted to the power amplifier with the support of this remarkably stable power supply with almost no small voltage fluctuations. 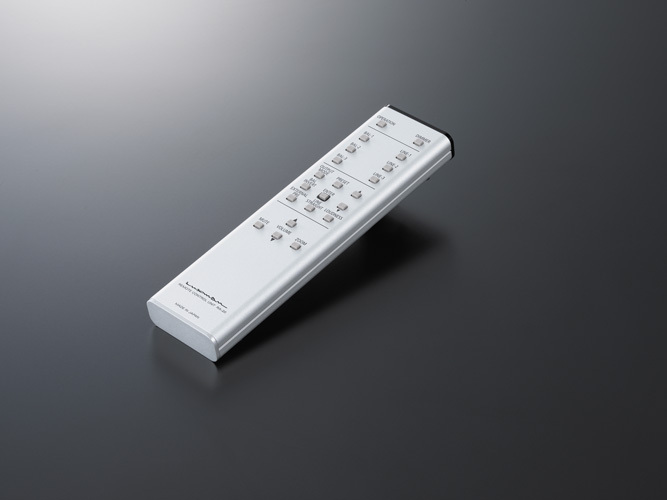 The lightweight aluminum remote control allows the user to operate a wide variety of the C-900u's functions comfortably from the listening position. 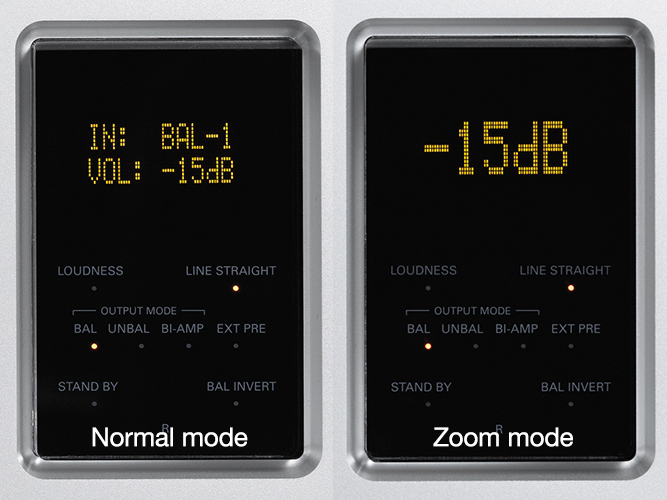 Volume adjustment is a matter of course, the loudness function that automatically provides optimal tonal adjustment according to sound volume, selection of balanced phase presets that can be set for each input unit, display dimmer control (brightness switching), display zoom control and more are all remotely operable.